We are each flawed. That’s part of what being human is all about. 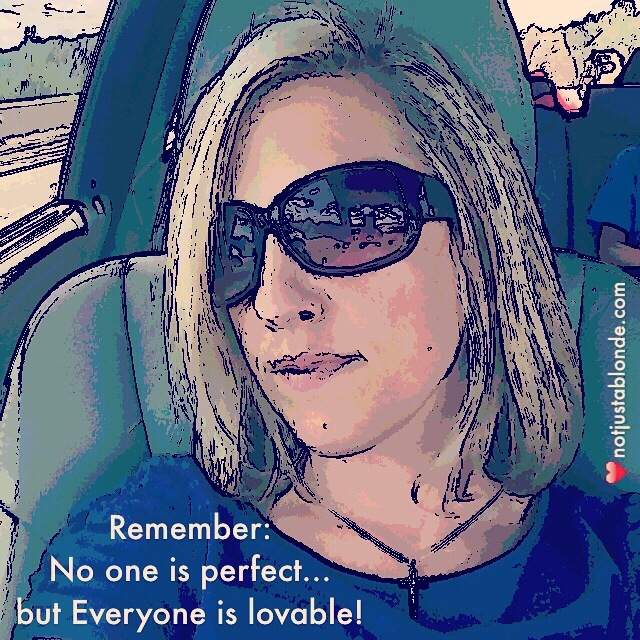 The amazing thing is through our flaws we are best able to give and receive love! Who needs more love than the most flawed of us? Who know how to love more than the one who so desperately needs it? This is one of God’s greatest designs. We are each perfectly imperfect apart yet together we can be healed and whole! Together we can learn what it means to live in love and become one with God. Knowing this is an illusion and a classroom where lessons are played out; One is to stand back and let the lesson play out? My heart says no. Because we are all experiencing through the heart one lesson is felt differently by each authentic self. This one is willing to see yet finding it oh so difficult to not feel the pain of some very tough lessons going on in the now. Because we are imperfectly love able my heart knows the resolve will be for the higher good yet there are emotions in the now that leave me standing empty or stalled. Sonya, I have struggled with this too! I believe we are not meant to stay silent in class but to jump in and get involved in these life lessons! Pain and fear and loss are realities in this dimension and we are in human form… thus in our human-ness we will feel the consequences of these negative emotions or energies. True, true one day we will be in spirit form and we will see things in a whole new light… until that time I suppose I am given great comfort in knowing “this too shall pass” and I find hope in my tomorrow.